School management software has become one of the most popular technologies adopted by institutions across the globe. This is because of an increase in the number of students getting enrolled and the existing methods and techniques for managing them becoming older and more redundant by the passing day. For example, in cases of schools where there are thousands of students, entering and managing the data of each and every student becomes a very time-consuming and cumbersome activity. Schools now prefer to work in an automated environment, which helps in greatly reducing paperwork and saving time. Mobile phones have taken the world by storm. Adults and children alike have access to mobile phones and their related applications. 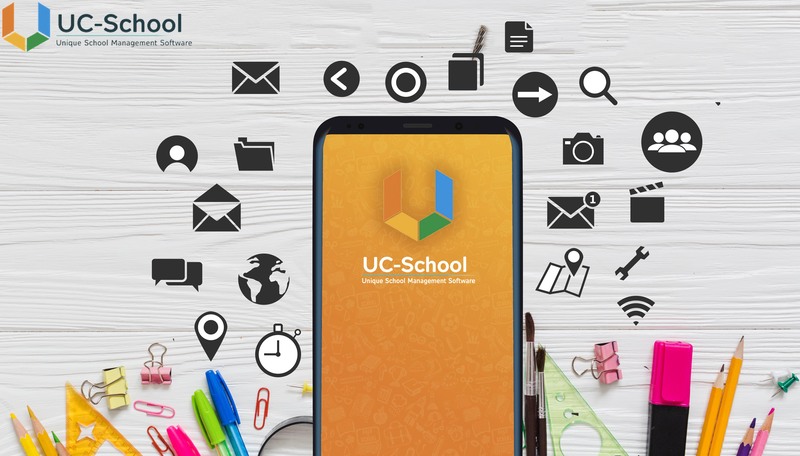 School ERP software companies are also now gearing up to provide their software in the form of school software mobile applications. This has resulted in the many modules and features of school ERP software becoming accessible anytime and anywhere to all the respective stakeholders. Schools sometimes get their routine administrative activities like finance and accounting, communication, attendance, etc. managed using different kinds of software. In such situations, school ERP software companies should be able to provide easy integrations with software already being used by schools instead of completely replacing them altogether with the new one. With institutions becoming larger by the day as a result of more number of students getting enrolled, there comes the issue of handling large volumes of data of teachers, students and parents. School management software companies are now making sure that they develop their software using cloud storage, in such a way that it has the ability to handle large amounts of data effectively and without any technical glitches. Analytics is used by almost every industry for operating in a more efficient manner, since it uses data from different sources and gives precise information in a statistical format for the purpose of organisational decision making. For this very reason, school management software companies are also trying to bring analytics into the fore in modules like examination results, attendance, payroll, finance and others. With the advent of the internet and computers, people now prefer to do their payments online from their place of comfort. Keeping in line with this trend, school management software companies are now providing online payment feature by using debit cards, credit cards, net banking and mobile wallets along with the standard features offered by the software. In order to bridge the gap between students and teachers, school management software companies have come up with an amazing feature called ‘Interactive Learning’. The components of interactive learning include blogs, social media tools, lesson videos, subject-related games and group discussions on online forums, all of which help students to understand and retain the subjects in a better manner. The needs and demands of educational institutions will keep on changing with every passing day. School management software companies should look into the latest trends happening within the educational sector so that they ahead of the curve as compared to their counterparts who provide similar software.